I became an agent only because of a severe experience in real estate. I purchased a home in 2000, which the owner (a Realtor) for 18 years and owner for 36 years of the home I purchased had many flaws that were not disclosed. Because of such flaws, non-disclosures, hidden defective or illegal items, I have learned so much. My background is from Chico State University in Computer Science and working for high tech companies such as Sun Microsystems, Apple and Yahoo to name a few. Later, I wanted to accomplish my dream job. 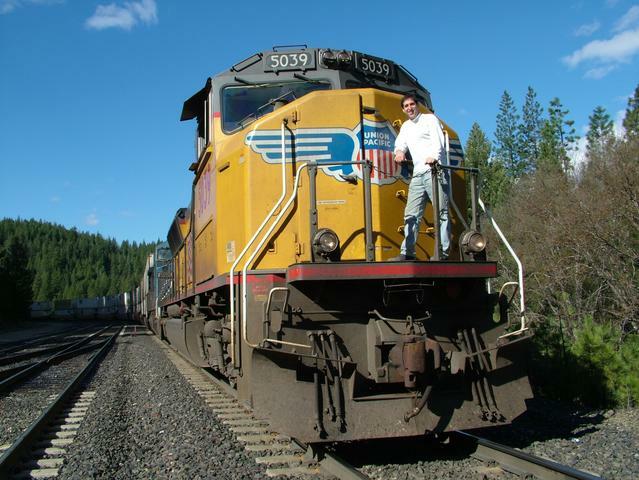 I went to work for the railroad to be a locomotive engineer. I worked for the Union Pacific Railroad (see www.HandCar.NET) for a little over eight years. Truly an experience I loved and always wanted to do since the age of four. During the time working for the railroad, I completed the home with problems and took my exam for real estate. The home with issues took me 6.5 years in a lawsuit. I fought it (and won), that it was such a learning experience for me. As my broker said, "you can write a college text book of anything that could go wrong in real estate was what went wrong with your transaction." My broker told me to take my exam for real estate. With a 38% passing rate, I took it and passed first time based on experience, not from a book. Even remodeling my home from ground up, I have learned what it actually costs to fix things. Bottom line, I have the experience and work with people on a one on one basis. There is no silly question. I always invite my clients to ask anything they like at anytime. I am not here to tell you to "sign-sign-sign" as I have been through before licensed. I am here to help all the way through the process as if it was my own home. I look forward to helping people not only to purchase or sell their home but understand the the transaction. This in turn, gives power to you to make better decisions.